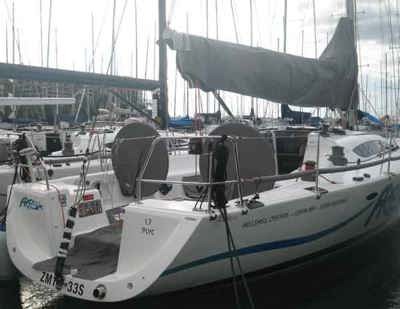 After competing in many coastal and offshore races around South Australia the Port Lincoln based boat will be looking to make the trip to the east coast to enter the Noakes Sydney Gold Coast Yacht Race for the first time in six years after competing in their first just after buying the boat. With a crew that has completed many Sydney Gold Coast races and Rolex Sydney Hobart Races between them they will be looking to do their home town proud while mixing it with the big boats. The team will be hoping for a windy race with northerly direction as this is where they feel they will make the most of the boats strengths and handicap.